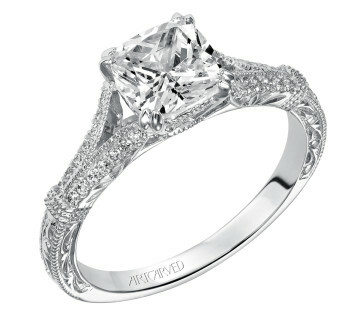 For more than 150 years, people have turned to ArtCarved to help celebrate and remember the most important moments of their lives. 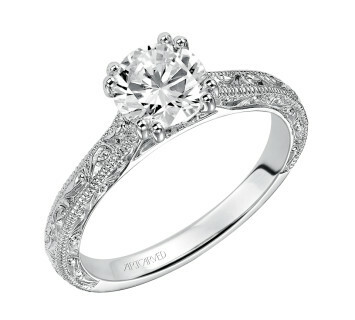 Explore our collection of high-quality, uniquely-styled wedding bands and engagement rings from this timeless designer at Hinkamp Jewelers in Fayetteville, NC. 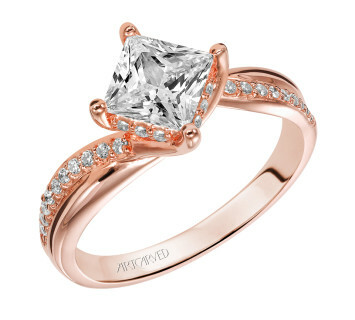 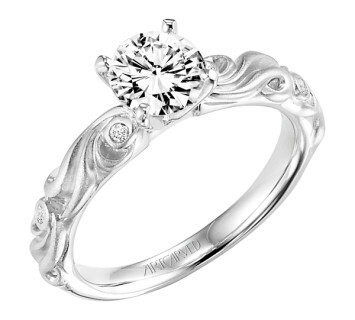 In addition to ArtCarved Bridal, Hinkamp Jewelers is proud to feature a wide variety of designer jewelry collections at our Fayetteville jewelry store, including Hearts On Fire, Simon G, Southern Gates, Colore, Kimberley, Galatea and Frederick Goldman. 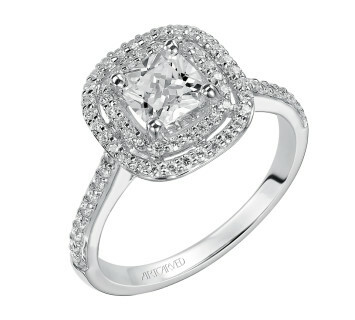 Cushion cut engagement ring with double halo diamond band. 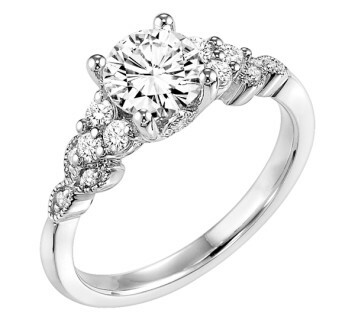 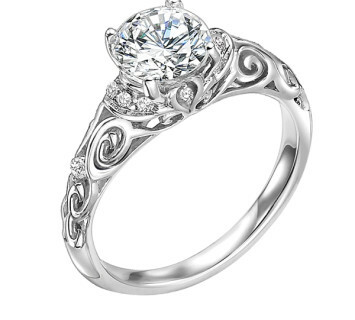 Diamond engagement ring with diamond detail under the center stone and filigree design accent in the shank. 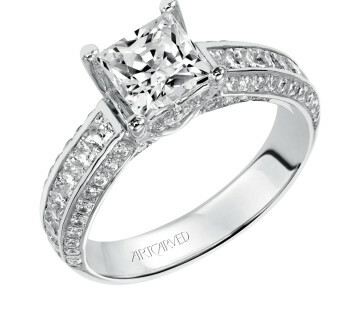 Diamond engagement ring with split diamond/ engraved shank and milgrain borders. 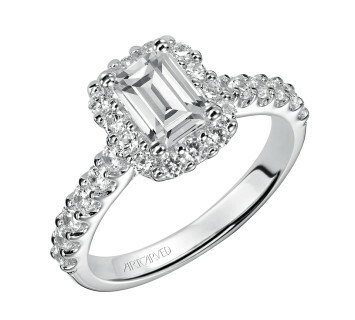 Engagement ring with diamond halo and polished band. 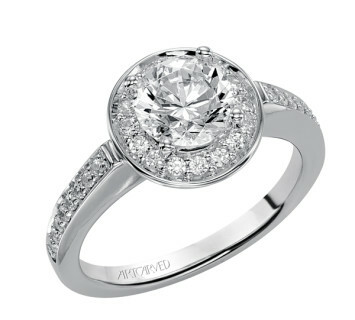 Diamond engagement ring with round center stone surrounded by round diamonds and a diamond enhanced band. 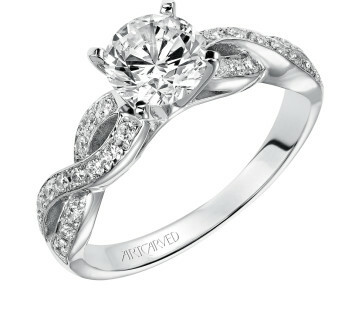 Diamond engagement ring with round center stone and vine motif diamond enhanced shank. 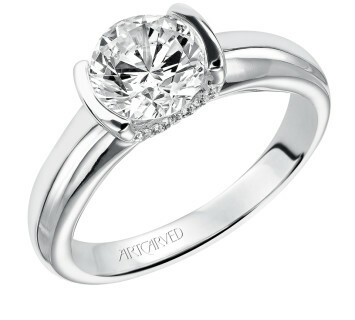 Diamond engagement ring with round center stone and diamond enhanced band. 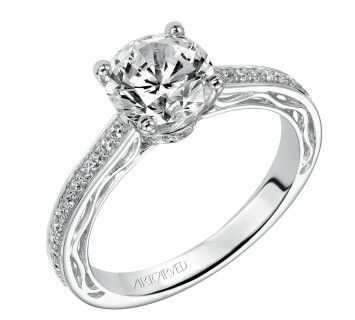 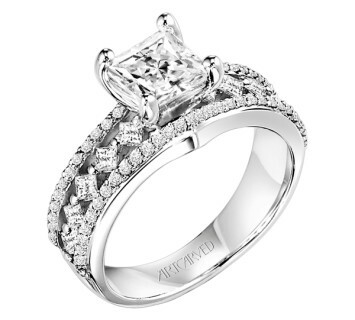 Solitare diamond engagement ring with round center stone and side pave diamonds in the setting. 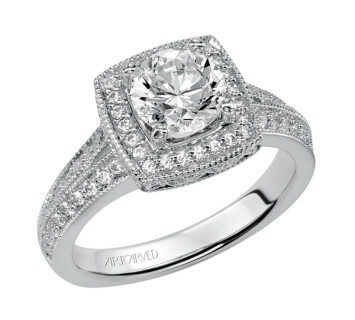 Diamond engagement ring with round center stone and channel set round stones in the band with princess cut surprise stones. 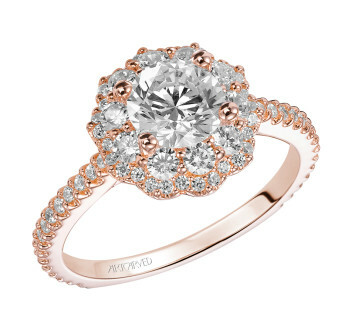 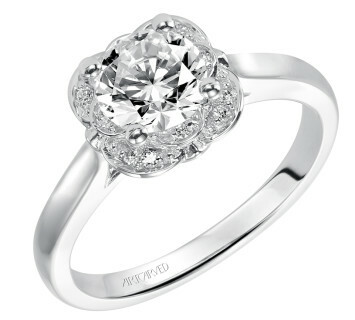 Diamond engagement ring with round center and a satin finished floral carving detail highlighted with diamonds. 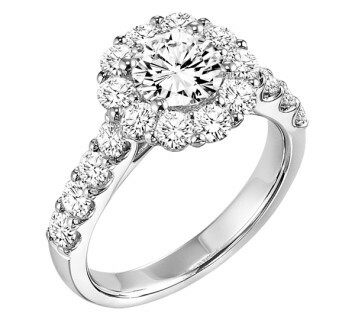 Diamond engagement ring with round center stone and pave set diamonds. 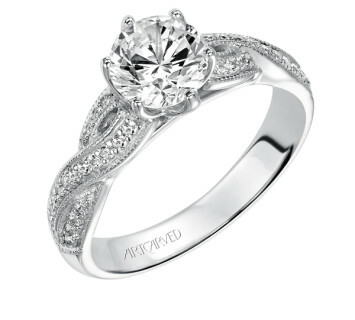 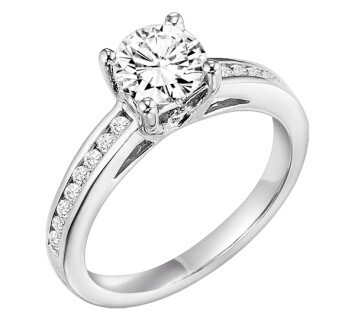 Diamond engagement ring with round center stone and carved diamond enhanced band.